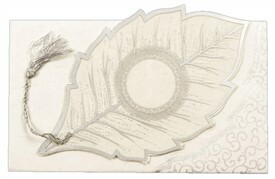 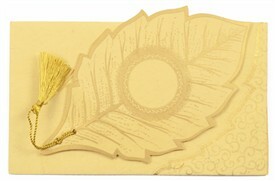 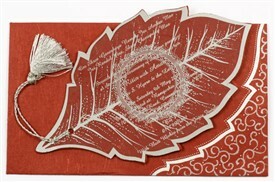 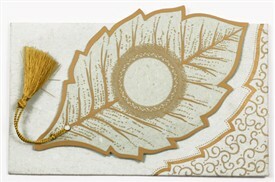 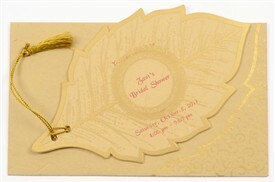 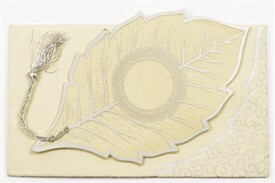 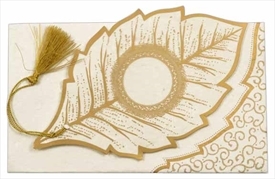 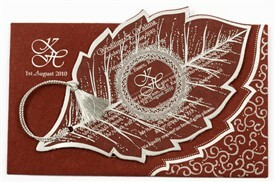 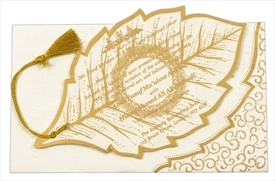 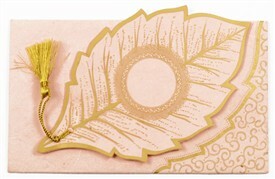 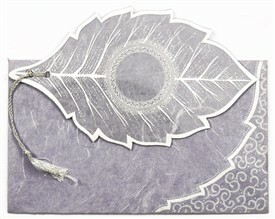 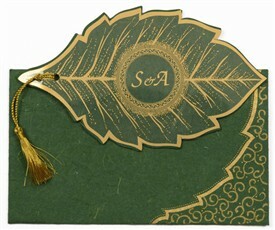 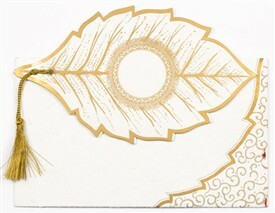 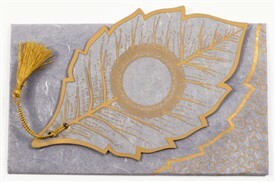 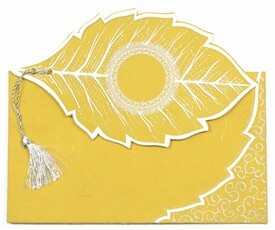 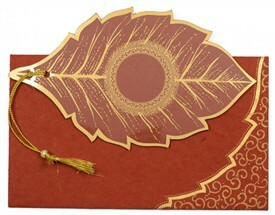 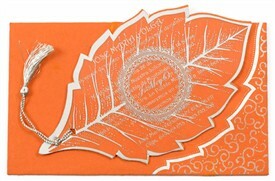 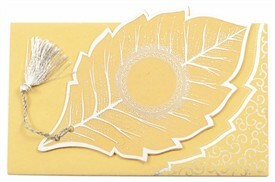 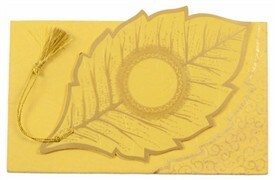 D-3146, Brown Color, Handmade Paper, Odd Shape Cards, Small Size Cards, Light Weight Cards, Designer Multifaith Invitations. 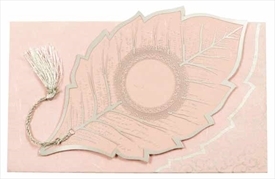 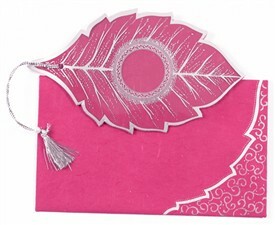 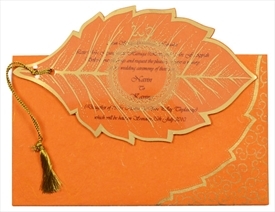 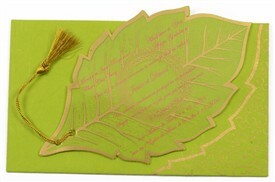 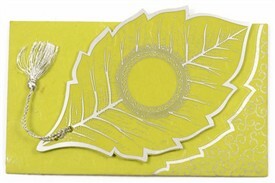 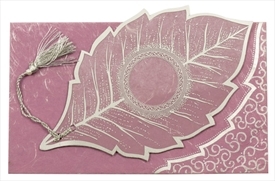 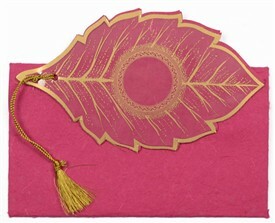 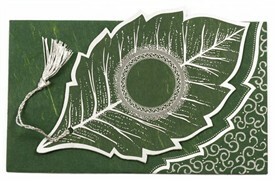 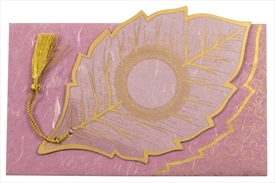 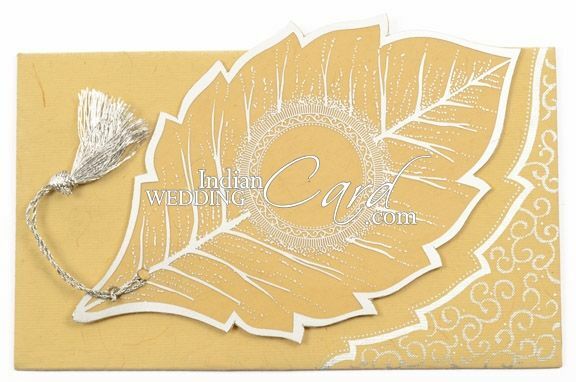 Jute mottled handmade paper (250gsm) for leaf shaped inserts and mailing envelope. 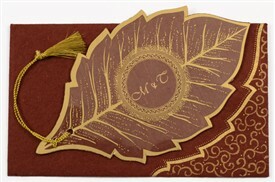 Silk Screen Printing in Brown color or any Dark color. 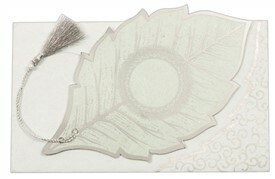 Silver visibility will be poor.